Styled for today... and tomorrow! was how Oldsmobile were promoting the, new for 1961, Dynamic Eighty Eight convertible in their sales literature. The full-size cars had received a completely new look and were now focused more on luxury, shifting away slightly from performance. While they still had the same 123 inch wheelbase, Dynamic 88s and Super 88s were shorter, lower and narrower than the previous year. 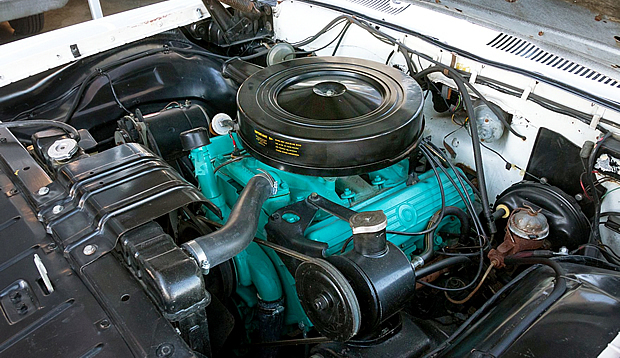 The Eighty-Eight series had just received a 'promotion' now that the F-85 had been introduced and replacing it as the entry-level Olds. A total of 7 different models could be found in the 88 line-up - by far the largest assortment of any of the Series' that year. Here's a very fine example, originally built in the ​Lansing, ​Michigan plant in Provincial White with black power top and red interior. 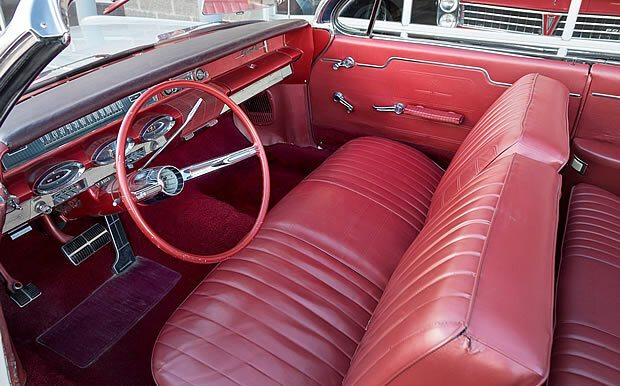 All of the full-size cars were equipped with a 394 cubic inch Rocket engine with an output ranging from 250-330 horsepower with the Eighty-Eight receiving a 2-barrel carburetor version that output 250 hp. On this car it is paired with a Hydra-Matic automatic transmission which was a $231 option over the standard 3-speed manual. Other options the original owner ordered with the car include: Pedal-Ease power brakes ($43), Roto-Matic power steering ($108) and an AM radio at $89. 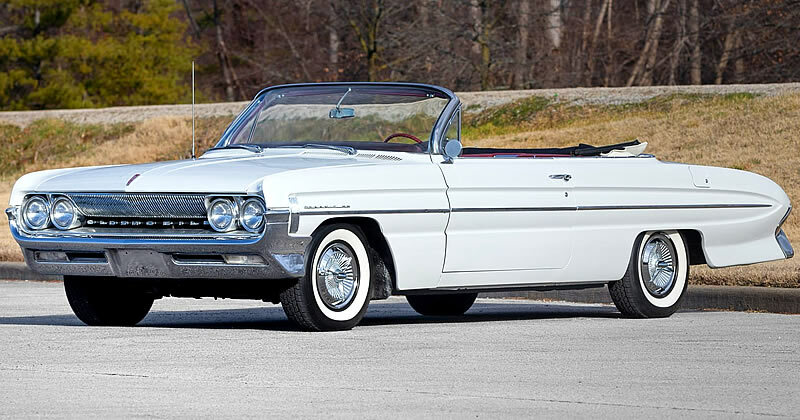 Oldsmobile produced 9,049 Dynamic 88 Convertibles for the 1961 model year at a base price of $3,284. 1961 was a relatively slow year for car sales. Oldsmobile still managed to produce 317,548 cars that year. Although this was a slight reduction from the previous year, they managed to move up one place to 6th in the industry.